A new addition to San Diego Zoo Global Academy is the opportunity for “Do It Yourself” (DIY) courses. 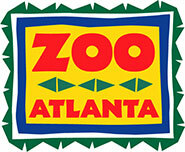 This innovation came from Zoo Atlanta’s desire to have in-house training content converted to an online course, which then could be available in their institution’s custom, privately branded Academy site. Marci Creath from Zoo Atlanta got together with the SDZGA/Cypherworx team and came up with a unique solution. This process is now being made available to any institution with a privately branded site. The Academy team will translate your PowerPoint and audio into a SCORM compliant course, and you can use this very affordable service to customize your training as needed. One institution that heard about the DIY solution is already developing eight new courses for use on their site to train their employees on content unique to their institution. Now you can develop courses on important topics specific to you, and the course content is from your own subject matter experts. Thank you Marci for this great contribution to the Academy’s collaborative learning environment! The AZA Mid-Year Conference is fast approaching, taking place later this month in Memphis. The Academy will have an exhibitor’s table at the conference, so please come by to talk about online training opportunities within the zoo and aquarium community. We look forward to seeing you! This month, we are pleased to spotlight our Academy partner, the Association of Zoo Horticulturists (AZH), which is creating online courses that leverage their mission-related efforts and subject matter experts. Please look for more news to follow as we share highlights of our collaboration. 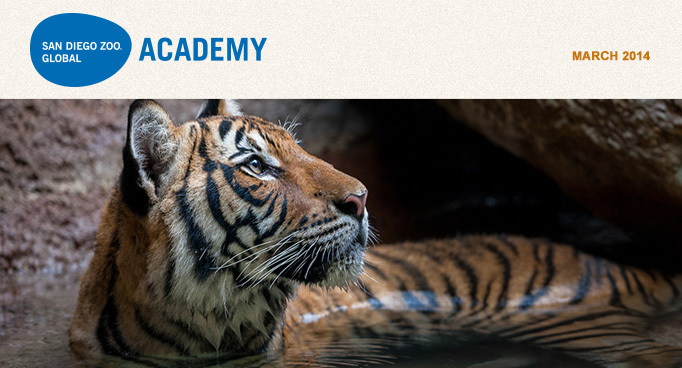 The Academy Welcomes the Memphis Zoo! The Memphis Zoo has joined the San Diego Zoo Global Academy and will have two privately branded customized sites, one for their employees and one for their volunteers. Welcome! Have you joined the Academy Updates group in the Academy? If you are an Academy subscriber, the Academy Updates group is a great way to stay informed about all the innovative things happening in the collaborative learning environment. As new announcements are made in the group, the notifications can be sent directly to your email in-box. This is another tool that can be used on your custom site for internal communications, as well. My Academy and The Volunteer Connection are the custom, privately branded employee and volunteer sites for our own institution at San Diego Zoo Global. This section highlights some helpful hints from our respective sites. Did someone miss an “All Hands Meeting”? Your custom learning platform is a great place for employees to revisit the organization's annual goals and accomplishments and have the opportunity to view an archived video of a presentation if they weren't able to be there in person. Sometimes a video or an online course can even replace the need for some meetings, and the message can reach more employees and be of value longer. Contact us if you would like to know how you can make presentations or training easier and more efficient! Need volunteers to complete paperwork before their scheduled shifts? Add the paperwork to the Resources section of your Volunteer Connection site, giving them instructions to read, print, sign and bring with them on their next volunteer visit. Feature the document so it appears first on the list with a bright yellow star so they can’t miss it! This also helps drive them to your site and engages them even more.